As employers are well aware, the Fiscal Year 2019 H-1B cap season is in full gear. In order to be considered for one of the 85,000 coveted H-1B visas, employers must file their H-1B cap petitions during the first five business days of April (April 2nd – April 6th, 2018) requesting that employment commence on October 1, 2018. Employers historically have had the option of paying an extra $1,225 fee to request premium processing for their H-1B cap petitions if they are selected in the H-1B lottery. This guarantees a response (not necessarily an approval) from the U.S. Citizenship and Immigration Services (“USCIS”) within 15 calendar days. As occurred last year, USCIS has announced that it will temporarily suspend premium processing for all H-1B cap petitions, but unlike last year, the temporary suspension extends only to those H-1B petitions that are subject to the lottery. Employers filing H-1B petitions that are not subject to the lottery may still utilize the premium processing service. The suspension for H-1B cap petitions is expected to last until September 10, 2018, and is intended to assist in reducing overall H-1B processing times. The beneficiary of an H-1B cap petition cannot commence working for the H-1B petitioning employer in H-1B status until the H-1B petition is approved. Given the potential for lengthy processing times, it is possible that an H-1B cap petition will not be approved prior to the requested October 1, 2018 start date. If this occurs, employers must verify that their H-1B beneficiaries are otherwise authorized to work if they intend to employ or continue to employ them on or after October 1, 2018. While premium processing is suspended, employers may submit a request to expedite an H-1B cap petition if they meet the expedite criteria. These criteria are: severe financial loss to the company or person, an emergency situation, a humanitarian reason, a nonprofit organization whose request is in furtherance of U.S. cultural and social interests, a Department of Defense or national interest situation, a USCIS error, or a compelling interest of the USCIS. 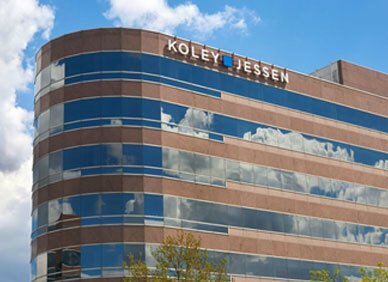 If you have questions about FY19 H-1B cap petitions, the suspension of premium processing for H-1B cap petitions, or other general questions about employment-based immigration, please contact one of the immigration specialists in Koley Jessen’s Employment, Labor and Benefits Practice Group.